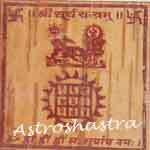 Surya Yantra	to appease the planet Sun. He is the king of planets and represents the soul. He is the lord of Sunday, direction EAST, own house is Leo, exalted in Aries 10°, Mooltrikona Leo 20° and debilitated in Libra 10°. Its Friendly planets are Moon, Mars, and Jupiter, neutral Mercury and enemies are Saturn and Venus. It is male, positive and MALEFIC. Its Gemstone is RUBY and metals are gold and copper. 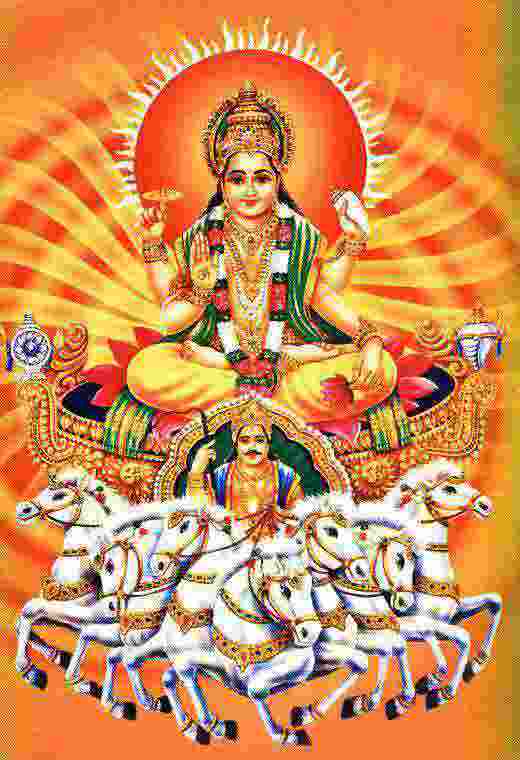 The constellations ruled by Sun are Krittika. Uttra Phalguni and Uttra-shade, the Dasa period for Sun is 6 years. He is cruel in nature, masculine by instinct and Kshatriya by caste. If malefic in Horoscope, causes diseases of the heart, eyes, arteries, lungs and vital organs. Sun stands for power and authority. When one is deprived of happiness through termination of service, suspension or through opponents or diseases etc., worship of Sun through Surya Namashkar etc. is always advised. Such difficulties are overcome and cure from disease is attained with good health through its pooja. It enhances the peace of mind, gets favour from Superior, officers and Govt. It is carved on gold, silver or copper plate and after pooja is worn in neck, kept on the body or is worshipped in temple of your house. Astroshastra presents the embossed on copper plate with Gold Plating in three different sizes to suit your need. By the use of it enemies are suppressed and eliminated the Malefic effects of Sun. When It is Malefic in birth Chart of a native or according to the rashi based on his name the planet indicates malefic effects then it is very useful. It shall be placed on any rising Moon Sunday. 1. It empowers Planet Sun in Horoscope. 2. It is helful in getting Government Job. 3. It helps in gaining favours from Government Departments. 4. It develops Confidence and remove Inferiority Complex. 5. Those pursuing Higher studies , shall keep it with them for better understanding of concepts and their protection. 6. It improves your relationship with Father. It is energised by Vedic Mantras and Homa is performed on it before it is sent to our customers. "Om Ghrieea Surya Aditya Om"